Runners Cramps? Ways to Treat and Beat Them! A runner’s high and runner’s cramps are like cookies and ice cream: it often seems difficult not to have one without the other. While that euphoria feeling you get with a runner’s high is one of the biggest and best perks of running, dealing with a painful and inconvenient cramping along your side is not. If you’re getting runner’s cramps in your stomach, it could be as simple as a breathing problem. 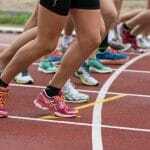 If you are prone to calf cramps during the last stretch of a 10k, it could be your shoes that are restricting the muscle groups in your feet. Here are some ways to minimize your cramping, while maximizing your ‘high’! If you’re a runner, then you already know what a difference a pair of shoes can make for your speed, comfort and overall performance. The right pair of shoes can support your ankles and prevent blisters and sores. One of the easiest ways to reduce your risk for cramping is to begin the elimination process, starting with the biggest culprit—your shoes! Talk with a specialist in order to find a pair of shoes that will offer the most comfort and support. Do you have to deal with painful stomach cramps without fail during each and every race you run? If that’s the case (or even if you suffer from the occasional stomach cramping) breathing may be the problem. Be careful not to eat anything heavy before a workout or have too much too much to drink, as it can prevent necessary breathing patterns. Are your calcium or potassium levels out of whack? If so, drink electrolyte water to get your system back to a perfect balance. 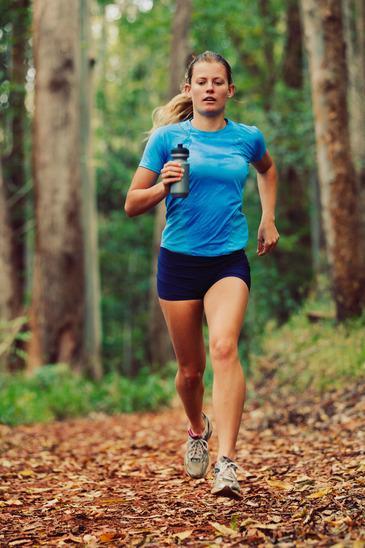 Every runner knows the drill: he/she can’t improve their time or distance without being properly hydrated. While you may drink water before and after your workout, ask yourself: “Am I drinking enough?” The recommended amount of water you should consume per day is 64 ounces. However, as a runner, you should increase that amount; otherwise, you may run the risk of painful stomach cramps. Who wants to deal with cramping when they have a race to win? 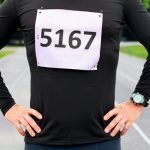 Whether running is simply a part of your normal routine, or you race competitively several times a year, minimizing cramps is the name of the game—in order to ‘up your game’. 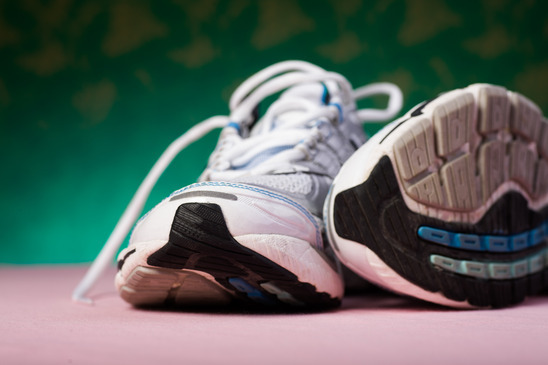 Investing in a good pair of shoes, and keeping your diet and hydration in check is some great ways to turn your cramps into a thing of the past.